JOSE LUIS SÁNCHEZ, MANO DE FÁTIMA (2006). The eminent scholar, José Luis Sánchez, was the artist commissioned to create the sculpture Mano de Fátima (Hand of Farima). 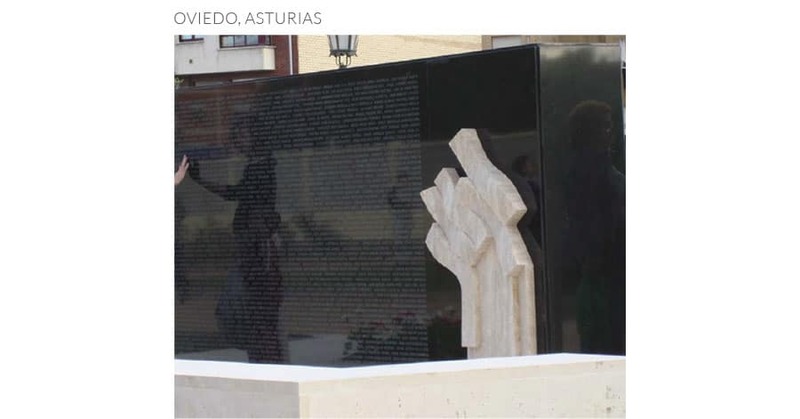 For this tribute, José Luis Sánchez sculpted two hands in white marble that seem to intertwine as a symbol of peace. These stand in sharp contrast to the black marble wall? of the monument that is engraved with the names of the nearly three thousand people who were victims of terrorism in our country between 1968 and 2007. 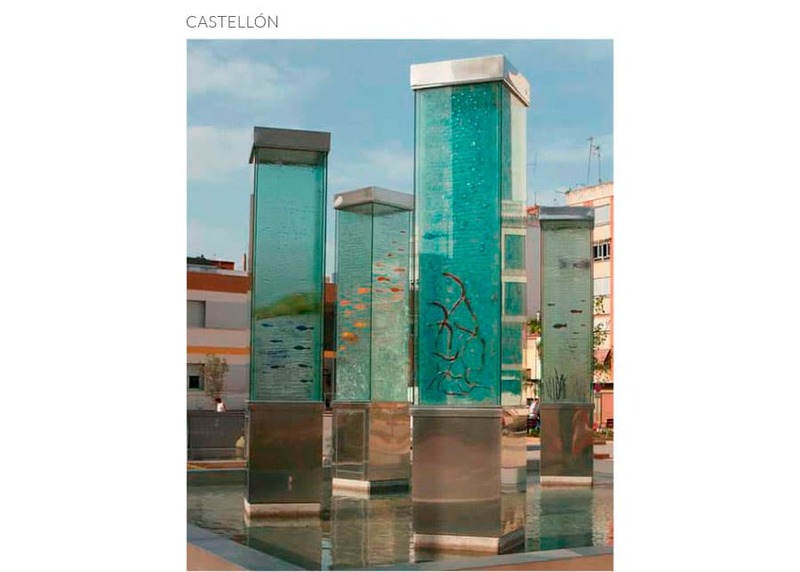 JULIA ARES, OPHIUSA (2008).This glass artist, Julia Ares, created a group of sculptures as a tribute to the Colombretes Islands. For the columns, which display the geographical characteristics of the fauna y flora of each of the islands, Julia Ares used the technique of hot enamel, although she is familiar with all the traditional techniques such as champlevé, cloisonné and grisaillé.